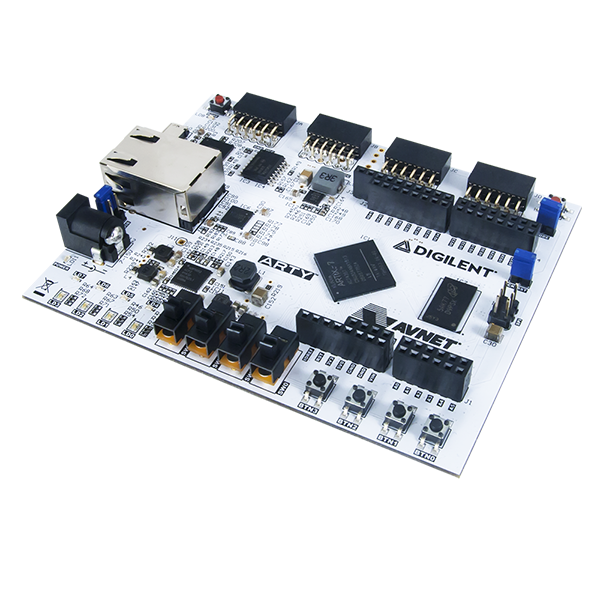 This tutorial describes how to get started with our Ethernet cores on Digilent Arty A7 development board. The board has one Artix XC7A35 from Xilinx and a MII Ethernet interface. We will use the FC1002_MII core. It has Remote Programming, TCP/IP and Logic Analyzer support. This tutorial uses Vivado Design Suite from Xilinx to build the project. Create a new Vivado project. Download FC1002_MII to the project folder. Download ArtyTop.vhd the project folder. Download Arty_Master.xdc the project folder. If FPGA Programmer is not installed then download and install FPGA Programmer. Select the generated bin file and program the Arty Board. This file is typically found in ./ProjectName.runs/impl_1/. From now you only need to have the board connected with Ethernet to update and program the board. If FPGA Probe is not installed then download and install FPGA Probe. There should now be some bit action on the screen. You can now try to alter the top file to generate some other data in the logic analyzer. You can now also easily use the TCP AXI4 Stream to communicate with the board via a Windows or Linux client.